Ananka's Diary: Forget Cards. This is the Ultimate V-Day Gift! 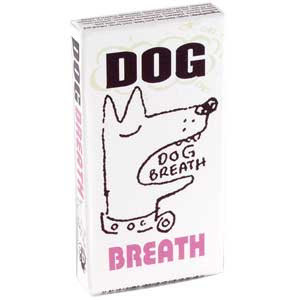 I believe that fresh breath should always be a priority. That's why I brush, floss, and may well purchase the handy little gadget I came across today. It's called the Kiss-o-Meter, and if it works, it would be a great thing to have in your handbag whether or not you intend to do any kissing. 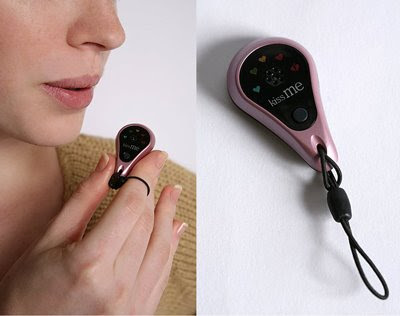 Just breathe into the Kiss-o-Meter's sensor, and you'll instantly know whether your breath smells like posies or poo. XD That is the wierdest gadget EVER! Patsee: Somehow I doubt there were scientists involved in the production of this gadget. Ha. "My faith in humanity has been restored."